​The Greatest Spectacle this March 29 - April 01, 2018. 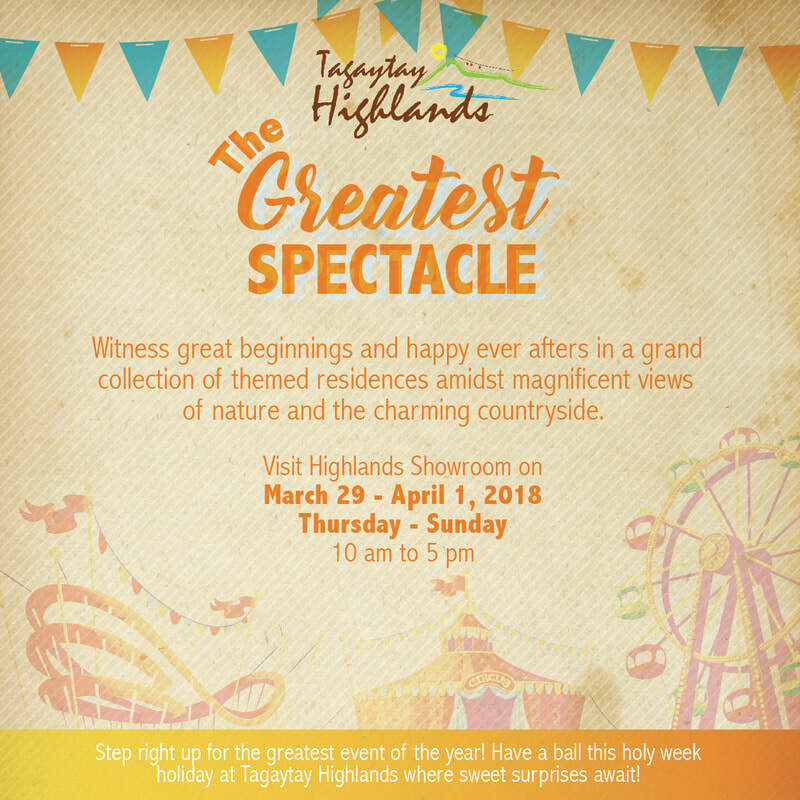 Tagaytay’s most exclusive mountain resort community. Beat the traffic this season. 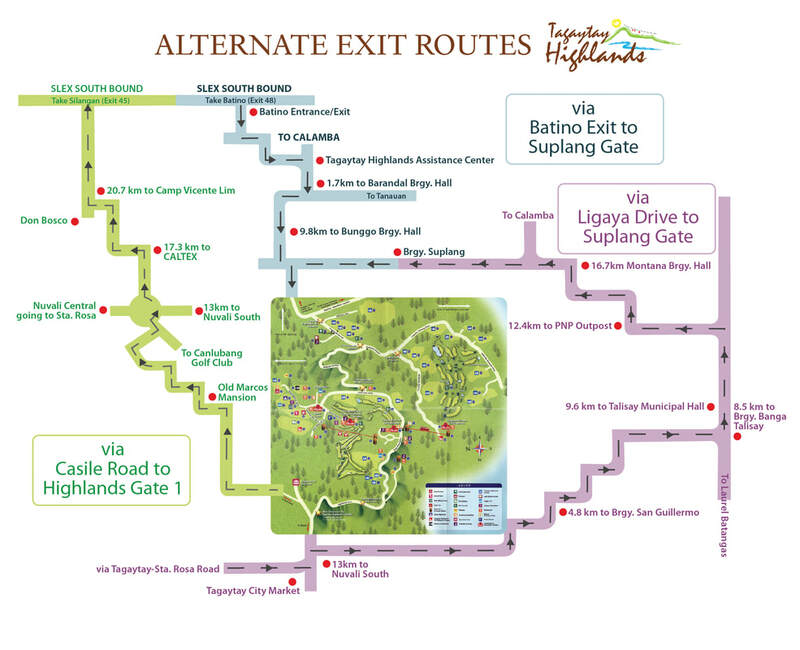 Know the alternate routes from SLEX on how to get to Tagaytay Highlands via Silangan Exit (Casile Road) to Highlands Gate 1 and via Batino Exit to Greenlands Gate. If stuck along Tagaytay-Calamba Road, have a scenic detour along Ligaya Drive via Talisay and enter the Greenlands Gate.